A Southern good-old-boy was selling his peaches door to door. He knocked on a door and a shapely 40 something lady dressed in a very sheer negligee answered the door. He nodded his head and said, “Yes ma’am,” and a little tear ran from his eye . The Southern good-old-boy said, “Yes,” and another tear came from the other eye. LOL I will think of this every time i see peaches now haha! That is a good one. Made me smile. Sandee, you have a great day along with Zane and Little Bit. She too knows his weakness! I need to buy some peaches. Ha,ha,ha. Have a sweet, firm, pink and fuzzy Thursday Sandee. See ya. 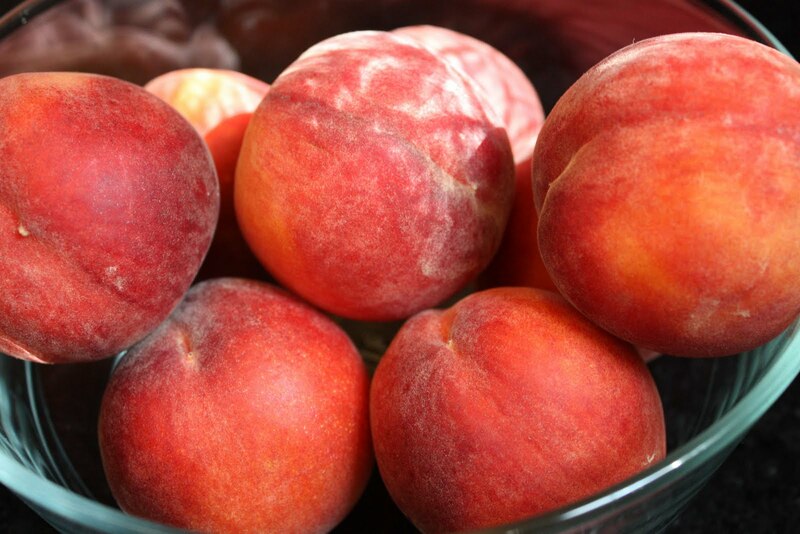 I'm still laughing, sez one who just bought a nice bag of peaches…from a fruit market. In future, when I look at peaches I will remember your joke! A Southern boy would have felt how firm and fuzzy things were and then said that his peaches were firmer and fuzzier and "no deal". hee hee hee……I know a few blokes who'd looove to sell melons! hahaha Have a peach of a day! Damn reminds me of my days, as a young man, selling insurance to lonely house wives in the morning when their better halves were at work. OHHHH Poor Baby!!!!! ha ha ha!